Marvel's Black Panther is easily one of the most highly-anticipated movies of 2018. It's going to be the first major comic book movie to arrive in theaters this year and, more and more, it's starting to seem like this could be pretty special. While movie audiences are just now starting to familiarize themselves with the character of Black Panther, he has a very rich history in the world of Marvel Comics. 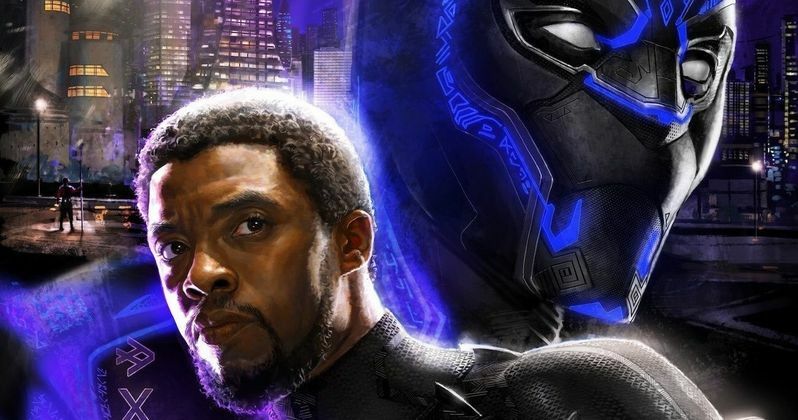 That, as well as how this movie is going to be different than everything else in the Marvel Cinematic Universe, and superhero movies in general, is explored in a new Black Panther featurette. The video features Marvel Studios president Kevin Feige, star Chadwick Boseman, director Ryan Coogler and the man responsible for co-creating Black Panther, and near countless other Marvel characters, Stan Lee, all appear to talk about the movie and the character's history. The video opens with some footage from Captain America: Civil War, where T'Challa made his MCU debut, with Feige talking about how much audiences embraced the character. Bozeman also talks about the movie being a spectacle, but also serving as more of a character piece. Here's what he had to say about it. "You want the wow factor but it's not just stuff blowing up. It definitely is a character piece..he has to look out for an entire nation. That's a responsibility that the other superheroes don't commonly have. As discussed in the video, Black Panther has been a part of the Marvel Comics universe for more than 50 years and was the first black superhero to get his own book with the publisher. The character first appeared in an issue of Fantastic Four in 1966, but after his solo series debuted, he became one of Marvel's most powerful and unique characters. As king of Wakanda, the man has a lot of responsibilities. Within the confines of the MCU and the Hollywood landscape in general, Black Panther is an important movie. This is going to be the first comic book movie of the modern era to feature a black superhero in the lead, but it's also going to feature a predominantly African-American cast. That's something we've never seen before. And, even though the movie hasn't been released yet, it looks like audiences are going to respond to it in a big way. Black Panther is set to arrive in theaters on February 16, so we don't have that much longer to wait. If this movie is as great as it looks like it could be, we're in for even more of a treat this summer as well, as it looks like Black Panther and Wakanda are going to be a big part of Avengers: Infinity War as well. Be sure to check out the new Black Panther featurette, which first debuted via Entertainment Weekly, for yourself below.